What are you looking to get out of Destiny 2? Do you want something that lets you hop in every week with a couple buddies to shoot aliens and get some new gear? Do you want to be the deadliest Guardian that smokes other fools attempting to try the Trials of the Nine? Or are you looking for something that will completely replace some other MMO in your life, say World of Warcraft or Guild Wars 2? These three questions appear to encompass the bulk of Destiny 2’s player base and by attempting to placate/appease/appeal to all of them, Bungie has left none of them very happy. Those questions also break the game down into three recognizable genres/categories: Destiny 2 as an aRPG, Destiny 2 as PvP title, and Destiny 2 as an MMO. Personally, I approached Destiny 2 as an aRPG with solid shooting mechanics and, from that perspective, I feel the game has been semi-successful. 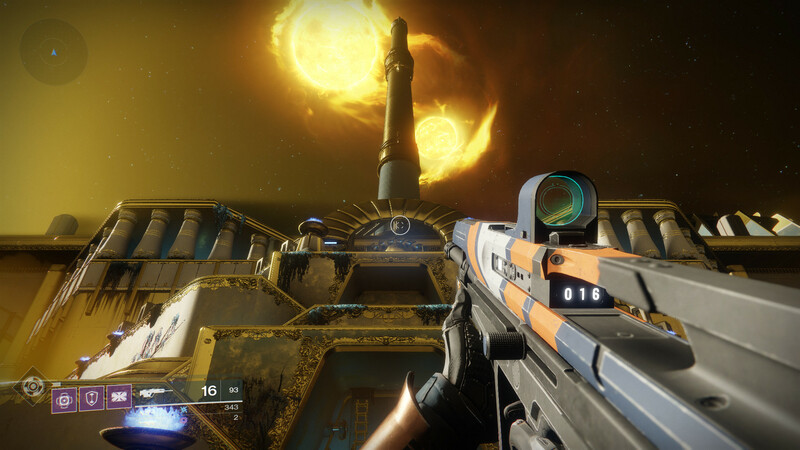 The minute-to-minute gameplay is enjoyable and the “shooty space guns” shoot well; Public Events are more interesting and easier to track, and the new “Adventures” offer some fun, bite-sized stories that hint at what may be in store for the game in the near future. The recent “Curse of Osiris” expansion arrived just in time to add some new activities (heroic Strikes and heroic Adventures) that could be completed with just a couple of friends, and the latest update added “Masterwork” weapons, which makes decrypting engrams hold some excitement again. The new “Seasons” feature, which is part of the base game, changes up some of the gear you can earn from vendors, and even the limited-time events (like “The Dawning”), ensure there will be times when there is new gear and cosmetic items (like armor/weapon shaders, emblems, and Sparrows) to chase. Bungie has learned some key lessons, too, from their first venture and made the whole grind to increase your “Power Level” (formerly “Light Level”) after you hit the level cap (20 in the base game, 25 with the expansion) more straightforward. Weekly activities ensure you’ll receive gear that’s always at least five levels higher than your current Power Level, and the game seems to track what your highest Power Level could be out of all your acquired gear so you don’t have to keep swapping gear in and out to maximize that level before getting the rewards. Those weekly activities ensure there’s always some box to check when you hop in, so you and your friends can have some set goal for what you want to do during a play session. All of that being said, the biggest issue I have with Destiny 2 is the distinct lack of endgame activities for a group of two or three people. 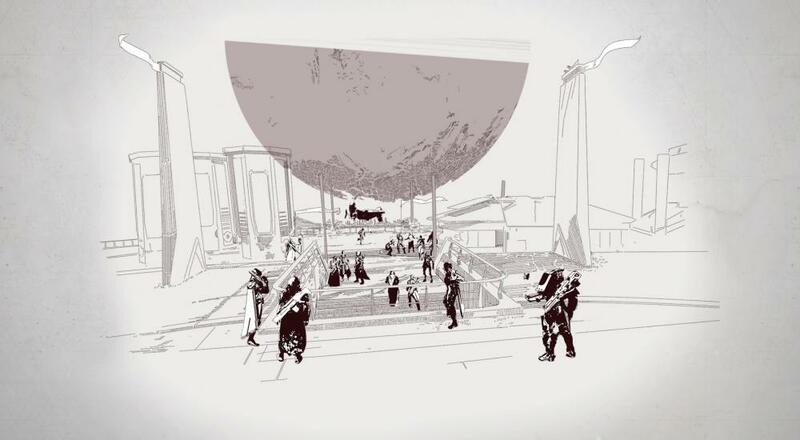 Granted this isn’t all that different from the first Destiny, which initially had very little to do after the story wrapped up and players were busy grinding to get “Raid ready.” Eventually, though, the first game also had things like hidden challenges in the Strikes or missions that led to Exotic weapons, and unique gear that could only be acquired from Strikes. It’s surprising that, thus far, Destiny 2 has none of these things, which is incredible as this is a follow-up title not an initial outing. Presumably, Bungie has a stack of “lessons learned” and community feedback from the first Destiny. While it’s clear they did respond to some of that and make changes where needed, it’s odd that they then either walked back certain design decisions that worked (like integrating Strikes into the story and random stats on guns), or seemingly ignored some things that would have made the sequel even better than the first; and as I said, nowhere is that more apparent than in Destiny 2’s endgame experience.